I owe my sense of strategic thinking, in part, to my cousin once removed. He is the namesake for my middle name and also my Dad’s best friend through high school. This was to block supplies flowing down over the Brenner Pass through the Alps from Austria and through the foothills against which Nervessa is nestled. The route through the Montello was used to resupply the German armies defending the Gothic Line which stretched across Italy below Bologna to block Allied armies from advancing any further north. Strategic is a military term adapted by businesses and organizations. Bombing supply routes to starve armies of resources rather than bombing the troops themselves is a strategic move vs. a tactical objective. In the late 1400s, alarmed at deforestation along these Alpiene hillsides which was degrading its water quality, Venice had strategically forbidden the cutting of forests in this area 35 miles upriver, a 500-year-old foresight lost when the forests were sacrificed by the Italian parliament in the 1890s. It had been further desecrated by a major WWI battle a generation earlier. None of Edward’s six crewmates nor a colonel riding along as an observer that day survived as their plane exploded above the river Piave. Unfortunately, the two three-ship missions flying in advance that day had failed to suppress heavy antiaircraft defenses around the targets. 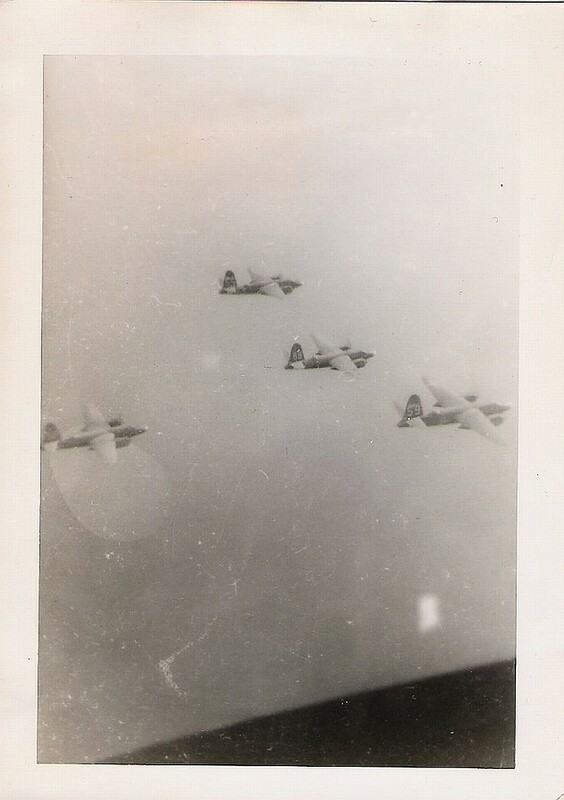 The B-26 with the number 56 emblazoned on the tail under which Edward was stationed as a gunner was the only one of the two 12-ship flights by the 439th Bomber Squadron to be shot down. The rail bridge was missed but one north on the causeway was believed to be hit. Edward was among 60,000 Allied soldiers representing 11 countries to die in the Italian campaign. Another 50,000 fighting for Germany also died there. In a squad of 24 B-26 medium bombers with 144 flight crew, nearly 90 were killed in action during the 439th’s 26 months of European combat. In 1948, three years after the end of the war in Europe and a few months after I was born, Edward’s body was disinterred from an orchard near where his plane had crashed and reburied in the small cemetery carved into our ancestral ranch with a view of the Tetons. Growing up, I would often jump the fence to study his gravestone. I wondered what it must have been like in Italy during his five months there in 1944 and that led to an interest in the Italian campaign overall. Each year, once the observation had passed, I would retrieve a small American flag placed each year on his grave during memorials such as the one next week. Edward died just a few days short of his unit being rotated stateside for training on B-25s and just six months before the war would end. “Too much of what passes for strategy development, we find, consists of hurried efforts that skip one or more of the essentials. The resulting strategies are often flawed from the start. 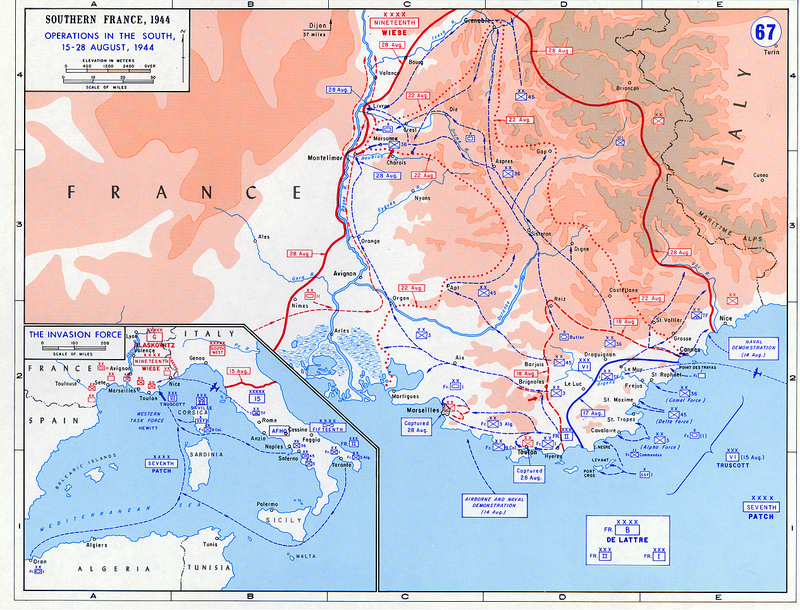 The campaign up the Italian boot was messy indeed, featuring constant meddling by Winston Churchill, failures of leadership, maneuvers such as Anzio that were under resourced because troops and landing craft were being diverted for use in Normandy, miscalculations of weather, hidden agendas and, of course, infighting. Edward arrived at the 439th while the unit was flying missions from Sardinia and just as Rome was liberated following breakouts at Anzio and Cassino. His bomber group also participated in the mid-to-late August invasion of southern France. A month before he was shot down the unit had moved to the French Island of Corsica which tucks into the area between France and Italy. This week, marketing-guru Seth Godwin blogged about myth-making narratives and why it is that “culture creates reality.” World War II was tidied after a few months of investigations into numerous failures. But if you want a good lesson in the messiness of “strategy as a journey” then read the book entitled The Day of Battle by liberation trilogist Rick Atkinson. America’s success in World War II was due to President Franklin D. Roosevelt’s deftness at juggling relationships with other Allied leaders, but also to his trust in General George C. Marshall and subsequently, to Marshall’s trust in General Dwight D. Eisenhower. During my now concluded four decade career in community destination marketing, I found that far too many economic developers prefer “list checking” to “strategic thinking” because they don’t want to be hemmed in. Instead, they preferred to be a “storm in search of thunder,” and perpetually in search of a parade to lead. The last one is to “evolve,” and that means adapting and learning. Adapting a strategic plan on the fly is a sign of success rather than a failure of insight. Failure, the McKinsey experts note, is more likely from neglecting the essentials at the beginning, the building blocks. In my experience, people who avoid strategic thinking or planning fail to do so because they fear ambiguity. In my opinion, governing boards seeking chief executives should run from candidates who seemingly “have all of the answers” and focus instead on those willing to think critically and deal with ambiguity. People who claim to be people of “action” often mean they have no patience for “thinking” or tolerance for “ambiguity.” A lot of people died during WWII because some leaders used the former to avoid the latter. My line of work wasn’t life or death but I quickly learned that not only were livelihoods at stake but so was a fragile community sense of place. Individuals who want to charge ahead so they can check the box or develope on the cheap because they have no patience for ambiguity may seemingly succeed in the short-term. They excuse the rush as a means to “making things happen.” Often, however, these nonstrategic decisions are later viewed as failures and destructive to communities in the bright light of long-term analysis. There is a heavy price for avoiding ambiguity.